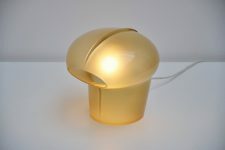 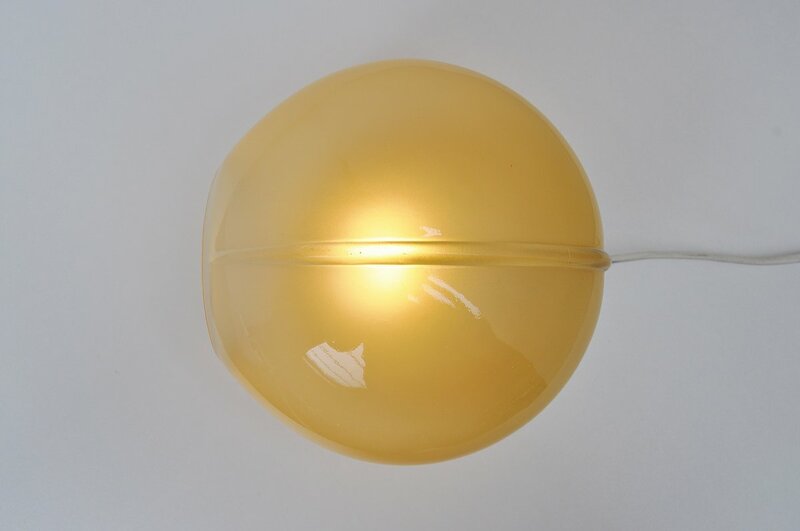 Very nice small and subtle table lamp designed by Gino Vistosi for Vistosi Murano, Italy 1970. 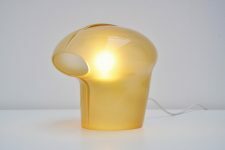 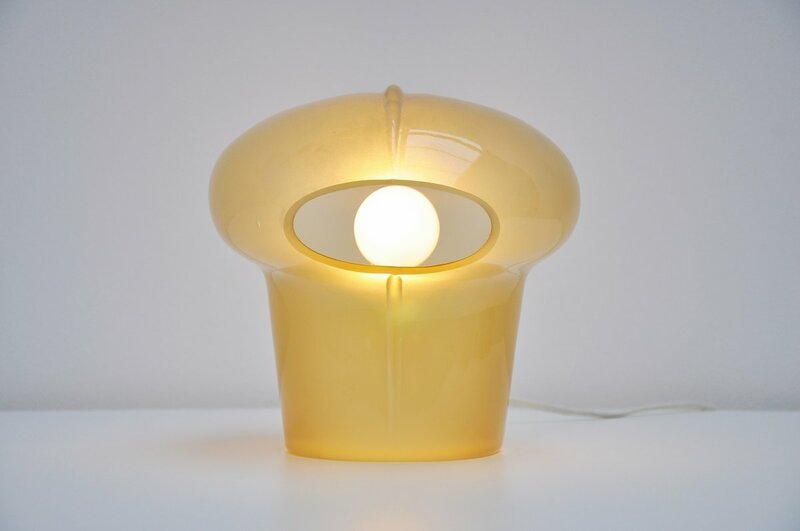 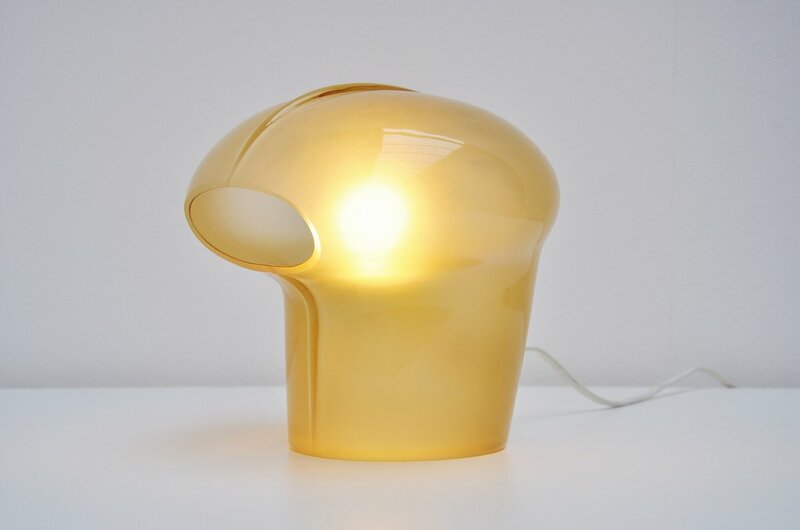 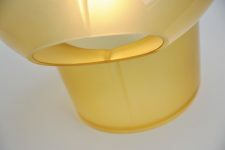 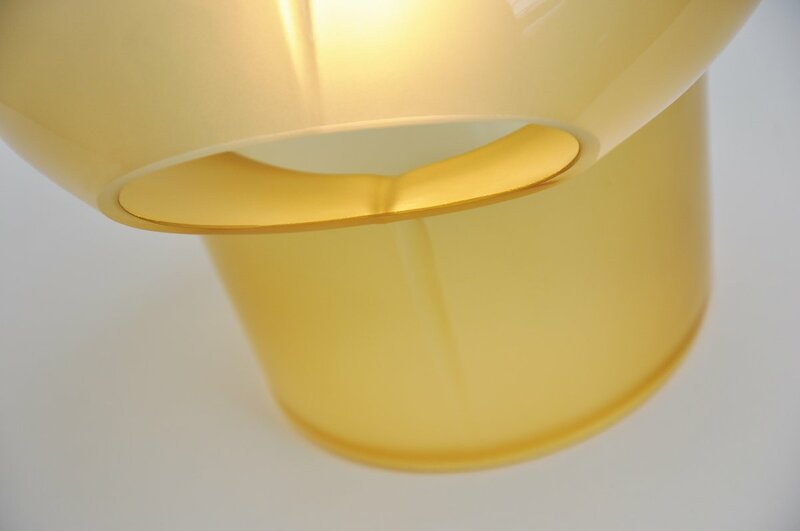 This very small and cute lamp was made of very thick yellow frosted glass with cut edges. 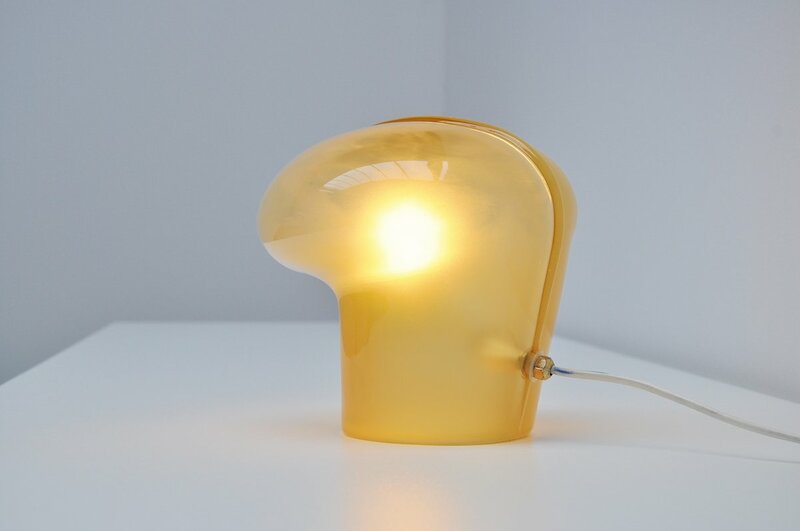 The lamp gives very nice and warm light when lit.